Finding a Titanic passenger list online is not difficult, since the ship's sinking is one of the most famous events in history. The Titanic was the largest passenger steamship in the world at the time of its voyage on April 10, 1912. Four days into the trip from England to New York City, the ship struck an iceberg. 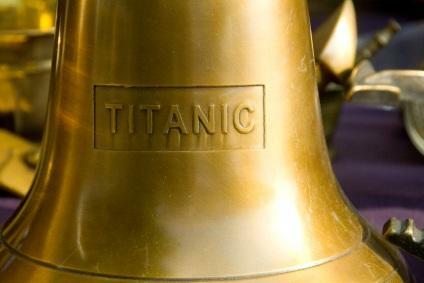 It sank on April 15, 1912, resulting in the deaths of 1,517 people. The magnitude of the tragedy was compounded by the fact that there were 2,227 people on board the ship and only enough lifeboats for 1,178 people. However, this was actually quite a bit more lifeboats than the ship was legally required to have. Of the Titanic survivors, most were the women and children who were allowed to first board the available lifeboats. Passengers traveling in first class were the most likely to have survived and members of the crew were the most likely to have died in the disaster. A higher percentage of British passengers perished, which is often attributed to the fact that they were polite and not aggressive enough to force their way onto the available lifeboats. The Titanic continues to be of historical interest because it used the most advanced technologies available at the time and was considered to be very safe. There is also a great sense of irony involved, since the ship sank on its maiden voyage. The Titanic passenger list is widely available online, although you may want to verify your information using more than one source since typographical errors in individual lists are a possibility. The Library of Virginia has a basic listing of passengers on the Titanic, as does the Titanic Facts website. History of the Titanic has a listing that includes crew members such as the officers and deck crew. The list on Wikipedia includes each passenger's age, hometown, where they boarded, and their destination. Encyclopedia Titanica has a complete listing of Titanic passengers, along with a short biography for each person. The listing includes the class in which they were traveling, whether they were a passenger or servant, their age, marital status, occupation, if they were rescued, and where they are buried if they drowned. If you are interested in a photo of the actual historical document, you can view a copy of the image at Titanic Wikia. If you don't know whether or not you are related to any of the passengers on the Titanic, FindMyPast allows you to quickly look for your surname in the passenger lists. Henry Tingle Wilde was chief officer on the Titanic. William McMaster Murdoch was first mate on the Titanic. Wallace Hartley, bandmaster on the Titanic, is best known for encouraging the band to containing singing and playing hymns in an attempt to calm the passengers as the disaster unfolded. Charlotte Cardeza was one of the Titanic's wealthiest passengers, having been divorced from the grandson of a Portuguese Count and inheriting a considerable fortune from her father. She was rescued from the Titanic and lived the rest of her life giving substantial sums to the poor and needy. Violet Jessop was a stewardess who miraculously survived the sinkings of both the Titanic in 1912 and the Britannic in 1916. She was also a passenger aboard the Olympic when it collided with the Hawke in 1911. Whether you find clues for your family history research or simply satisfy your curiosity, it can be interesting and educational to study the list of passengers who sailed on the Titanic.